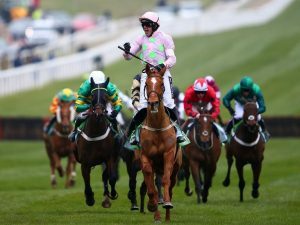 The Champion Hurdle is a grade one national hunt event that takes place in Cheltenham in March of each year over a 2 miles and ½ furlong, 8 hurdle course. It’s part of the much anticipated four day Cheltenham Festival, taking place on day one of the festival, and has attracted a wealth of racing talent since its inaugural run in 1927. As a, or possibly ‘the’, highly anticipated hurdling event of the season, the Champion Hurdle understandably has been won by some very big names, such as three time winners See You Then and Instabraq, as well as the talented Persian War. The purse for the Champion Hurdle is currently £400,000, so it’s come a long way from the 1927 race when the prize money was £365. The Nicky Henderson trained Buveur d’Air has impressed in the Champion Hurdle in recent years, winning both the 2017 and 2018 races. Henderson is actually the leading trainer over the entire history of the race, with a total of seven wins to his name. As he works closely with J. P. McManus, it’s surely no surprise to hear that Mcmanus is the leading owner to date. Leading jockey honours are split between Ruby Walsh and 1950’s jockey Tim Molony, both on four wins a piece. The St Leger Stakes is a group one flat race held in Septemeber of every year at the Doncaster racecourse in the UK. The 6 furlongs 115 yards race attracts some of the best racing talent of the day, on account that it’s a race with a reputation that proceed it. The first St Leger Stakes took place in 1776 and was won by an unnamed filly, who was named Allabaculia after the event. The race itself is devised by and named after army officer Anthony St Leger. It wasn’t long before the profile of the race increased, in part due to the 1880 Derby – St Leger double by a thoroughbred named Champion. In the same way that this double drew interest, the St Leger also forms part of two triples, namely the triple crown. The triple crown consist of the 2000 Guineas, the Derby and the St Leger Stakes. Winners of the triple crown number just 15 since 1853 and include such lumunaries as Nijinsky. There is also a fillies triple crown, made up of the 1000 Guineas, The Oaks and 2000 Guineas. Both of the triple crown combos are designed to highlight racing excellence. The fact that the St Leger Stakes is also part of the British Classics takes that a step further. No horse has yet won all five of these jewels in the crown of British racing (1000 Guineas, 2000 Guineas, Epsom Oaks, Epsom Stakes, St Leger Stakes). In recent years the combo of jockey Ryan Moore and trainer Aidan O’Brien have had quite some success in the St Leger, winning in both 2017 on Capri and 2018 with Kew Gardens. The 1000 Guineas (aka 1000 Guineas Stakes) is a 1 mile Group One race, run on the flat. 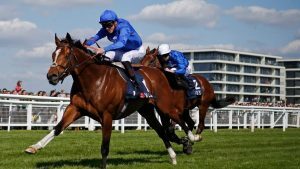 It’s for three year old fillies and is one of the British Classics, a group of 5 races steeped in history, that are seen as the height of achievement in flat racing (1000 Guineas, 2000 Guineas, Epsom Oaks, Epsom Derby, St Leger Stakes). It’s also one of the three races that form part of the fillies triple crown (1,000 Guineas Stakes, Epsom Oaks and St. Leger Stakes). Only a handful of fillies have ever won all three races. The race takes place in late April or early May each year at Rowley Mile, Newmarket. It was first run in 1814, a few short years after the first 2000 Guineas took place. In less than 50 years it became the must watch and must win race for three year olds, and it’s a reputation that the race maintains to this very day. So much so that there are varients of the race all over the world, from the Irish 1000 Guineas, to the German 1000 Guineas and the Oka Sho in Japan. The purse for the event is a sizeable £500,000, with almost £300,000 of that going to the winner. 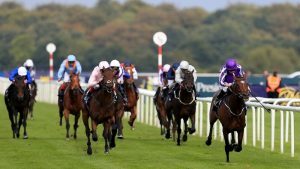 Many of racing’s big hitters have won the 1000 Guineas, in recent history the likes of the Aidan O’Brien trained Minding in 2016 and Bilesdon Brook in 2018. Unlike with some races, many of the records of this event such as top owner (4th Duke of Grafton) and jockey (George Fordham) go back 100+ years. This should be no suprise though considering the 1000 Guineas is over 200 years old! The 2000 Guineas Stakes is a group one flat race for three year old colts and fillies. It’s a much loved race drenched in tradition and is also one of the five British Classics, a group of races that have attracted the cream of the crop of the racing world for literally hundreds of years. The 2000 Guineas also forms part of the Triple Crown which consists of the 2000 Guineas, The Derby and the St Leger. The Triple Crown came to be as result of West Australian winning all three races way back in 1853. In fact, only 15 horses have ever won all three races. The one mile 2000 Guineas takes place in either April or May of each year at Newmarket racecourse. The race was first run in 1809 (prior to the first 1000 Guineas) . It wasn’t long before it had established itself as a firm fixture in the racing calendar and a race that jockeys, trainers and owners alike all had their eye on. The number of 2000 Guineas clones around the world speaks to its influence on the world stage. From the Australian Guineas to the Poule d’Essai des Poulains it’s a worldwide affair. 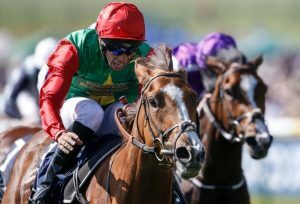 There are trial races which can act as a path to the 2000 Guineas such as the Craven Stakes and Greenham Stakes, though for some it’s their first race of the season. The purse for the race is £500,000, with £280,000+ going to the winner, the identical payout as the 1000 Guineas. Leading trainer of the 2000 Guineas is Aidan O’Brien with nine wins, and memorable winners of the event include Nijinsky in 1970 and the legendary Henry Cecil trained Frankel in 2011. In terms of name recognision the Grand National is surely second to none. This national hunt race held at Aintree racecourse in Liverpool is emmersely popular with both ardent horse racing fans, but also those not typically interesting in following the sport. From work sweepstakes, to relatives scanning newspapers to place a small wager on a selection they like the name of, the nations eyes turn to the TV screen in their millions during the Grand National which takes place in April of each year. 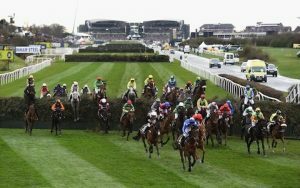 The Grand National is run over a 4 miles 514 yards course, and those taking part are tasked with jumping 30 fences over two laps. The fences are of various levels of difficulty, but some of them are notoriously difficult such as Becher’s Brook and The Chair. The first Grand National took place in 1839 when the event was founded by Waterloo Hotel proprieter William Lynn on land he’d leased in Aintree. The Grand National meeting (and especially interest in the Grand Nation race itself) has gone from strength to strength since to the point where it now reaches worldwide audiences upward of 500 million viewers. As with any event steeped in history the Grand National has seen several eras, or moments, that will forever be remembered. One of the first was the 100-1 win from Foinavon in 1967. Foinavon wasn’t given a hope beforehand, so much so that his owner didn’t even bother to turn up to watch the race. However in a stroke of astonishing good fortune while he was lagging 100 yards behind the leading pack, a loose horse veered across the field at the 23rd fence unseating some, and sending others in all directions. John Buckingham simply steered Foinavon around the carnage to claim victory. Perhaps the era racing fans are most fond of though is the Red Rum period. Red Rum was originally bought as a yearling for just £420 and later by Ginger McCain (for Noel le Mare) for £6,300. McCain persevered with the horse through period of injury and it certainly paid off as Red Rum is today the only horse to have won the Grand National three times (in 1973, 1974 and 1977). Modern highlights of the Grand National include Ginger McCain’s renewed success at the National 31 years on, with a win with Amberleigh House ridden by Graham Lee, and in 2004 Venetia William’s Mon Mome winning at huge odds of 100-1. The 2018 winner of the event was 10-1 shot Tiger Roll, ridden by Davy Russell and trained by George Elliot.